Ever wonder where your missing socks go? 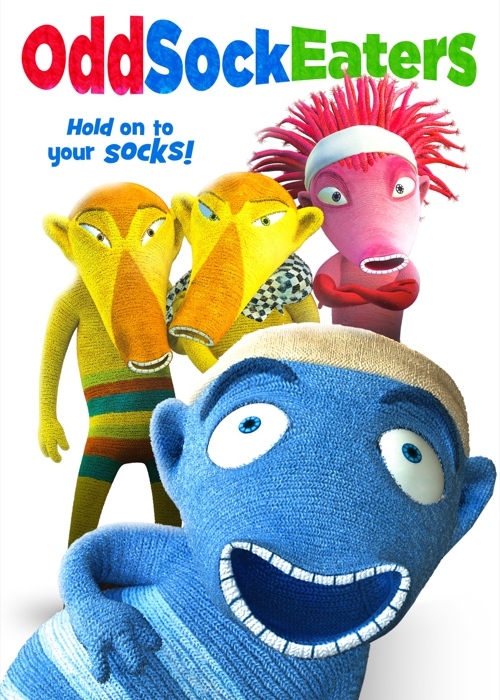 Oddsockeaters are mischievous little creatures, unknown to most humans, that are responsible for the odd sock that goes missing when you only have one left in a pair. Wild adventures ensue after Hugo, a young Oddsockeater, heads out into the big world for the first time. 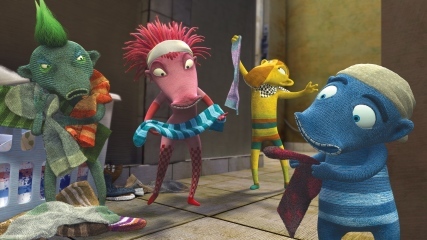 While discovering what it takes to become a good sock thief, Hugo learns valuable lessons about family, love and the true meaning of loyalty. Cassandra's Review- Great imaginative fun for younger viewers, this DVD will create a fun atmosphere in the home while giving your little one 87 minutes of steady happiness. 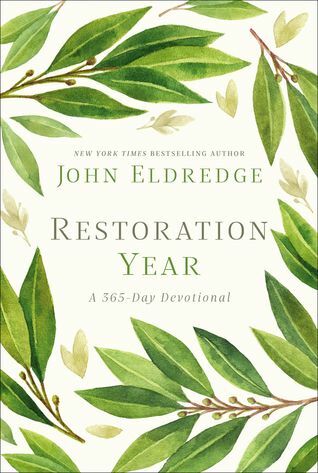 New York Times bestselling author John Eldredge offers readers a journey into lasting transformation in their relationships, their interaction with God, and their joy in life. Cassandra's Review- The book is perfect for any step in life as well as both male and females. It is filled with faith based material for the reader to enjoy each day of the year. Opening to the page and spending as much time as you need with each passage and shorter paragraph can give you a spiritual sense of warming. I feel like this would be a great gift for you or a faith based friend that could be used to give a great new outlook and a fresh start to the new year. Preschoolers learn to work together – a key component to Kindergarten success – as they rally to get the missing cupcakes back from Grumpy Toad, singing songs, acting, and identifying favorite animals, foods, and more. 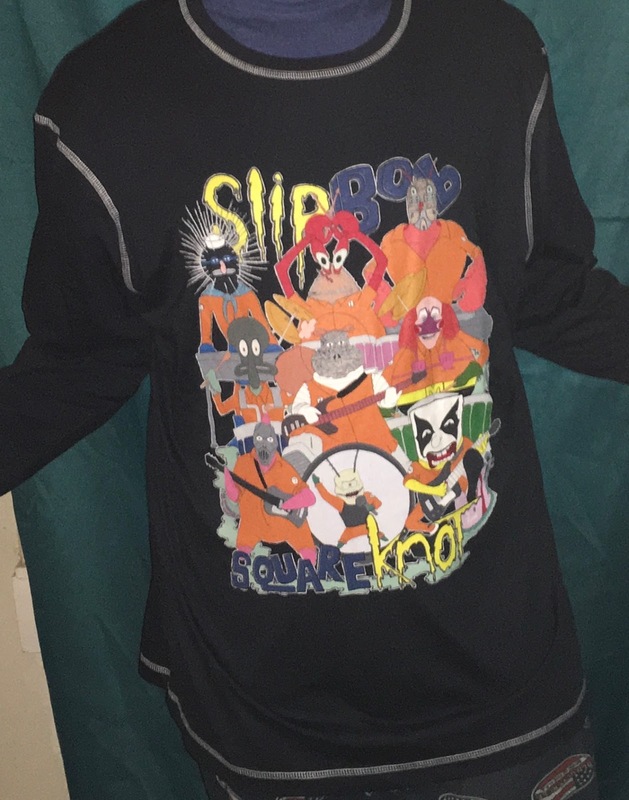 MSPR $19.99. Ages 3+. I received a complimentary game. Cassandra's Review- Very cute and super simple gameplay. Perfect for younger children. The pieces are cute the bigger ones did not stay up as well, but overall the game was really nice to play. For the first time ever, the greatest performances from the CMA Awards are available on DVD. You’ll take a front row seat to see country’s biggest stars perform live. For 50 years, the CMA Awards have spotlighted the top performers of country music, capturing the songs and artists that have provided a soundtrack for our lives. This collection takes you from the early days of the CMA Awards in the late 1960s when Loretta Lynn, Johnny Cash and Glen Campbell dominated the country music scene to today’s top country stars including Carrie Underwood, Little Big Town, Luke Bryan and Chris Stapleton. This collection of CMA Awards performances showcases the diversity of talent and the powerful songs that have made country music the heartbeat of America. You’ll see once-in-a-lifetime moments including Loretta Lynn’s “Coal Miner’s Daughter,” Merle Haggard’s “Okie from Muskogee,” and Alan Jackson’s “Where Were You (When the World Stopped Turning).” Plus you’ll see famous country duets and collaborations including “Jackson” by Johnny Cash and June Carter Cash, “Cowgirls Don’t Cry,” by Brooks & Dunn and Reba McEntire, and “Lady” by Kenny Rogers and Lionel Richie. Newly produced bonus interviews with country legends including Charley Pride, Kenny Rogers, Naomi Judd, Ronnie Milsap and more. Plus CMA bonus features with Alan Jackson, Miranda Lambert, Vince Gill, George Strait, Carrie Underwood and many other country music stars. Features a ‘Who’s Who’ of country artists including Alabama, Brooks & Dunn, Glen Campbell, Vince Gill, Alan Jackson, Miranda Lambert, Barbara Mandrell, Reba McEntire, Buck Owens, Brad Paisley, Dolly Parton, Charley Pride, Rascal Flatts, Kenny Rogers, George Strait, Randy Travis, Tanya Tucker, Carrie Underwood, Keith Urban, Trisha Yearwood, Dwight Yoakam, and dozens more country artists. This collection features highlights from 5 decades of the CMA Awards. You’ll see the greatest moments from 1968 through 2015, hand-selected to showcase the rich history of the Awards Show and country music. I received a complimentary 3 disc collector's set. This giveaway is in no way endorsed, affiliated, or associated with Facebook, Twitter or any other Social Media Networking Site. This Giveaway is valid Worldwide, Entrants must be 18+ years of age to enter, and have a PayPal account. This giveaway event will end at 11:59 PM (EST) 1/27/19. The winner will have 48 hours to email their information back or a new winner will be drawn, you may want to put this email address as safe as it could go to spam. The giveaway is not valid where prohibited! By entering you are authorizing us to collect the information on the form below, this information is used only to contact the winner! This giveaway is in no way endorsed, affiliated, or associated with Facebook, Twitter or any other Social Media Networking Site. You are not eligible if you have won a prize from this sponsor in the last 12 months. This Giveaway is valid in the United States Only and Entrants must be 18+ years of age to enter. This giveaway event will end at 11:59 PM (EST) 1/11/19. The winner will have 48 hours to email their information back or a new winner will be drawn, you may want to put this email address as safe as it could go to spam. The sponsors are each responsible for shipping of the above prizes. No blog associated with this contests are responsible for prize fulfillment. If you take an entry you must stay following for the entire contest or you will be disqualified. Cassandra's Review- A quicker read good for bedtime and fun to read out loud because of the rhyming style. Cassandra's Review - Animal holiday and fun fill the pages of this really good and easy to read book that will have your little one super interested especially before bed. Perfect for Christmas Eve. The Festive Frolics of Panda and Owl by Frank Lewis. 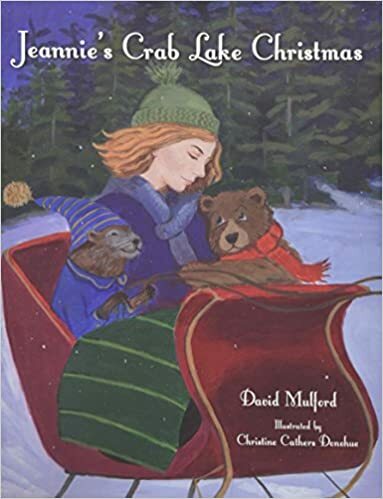 What started as a romantic gesture between the author (Owl) and his wife of one year, Jody (Panda) transformed into a wonderfully whimsical tale of two best friends who learn, laugh, and celebrate life hand-in-hand. The two are inseparable in fiction and in real-life, and you’ll want to become their “bestest” friend, too. 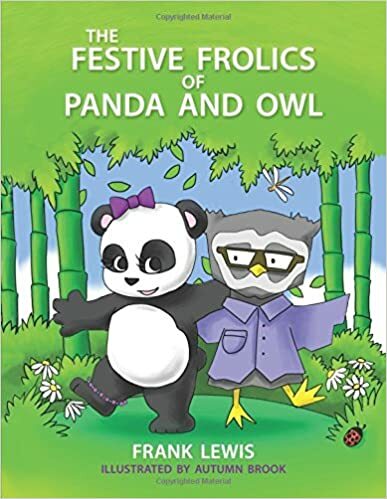 The Festive Frolics of Panda and Owl has a claim to fame…it was the only children’s book featured in the 2018 Golden Globes Red Carpet Style Lounge. Cassandra's Review- Super cute and thoughtful with so much more than just a few stories. 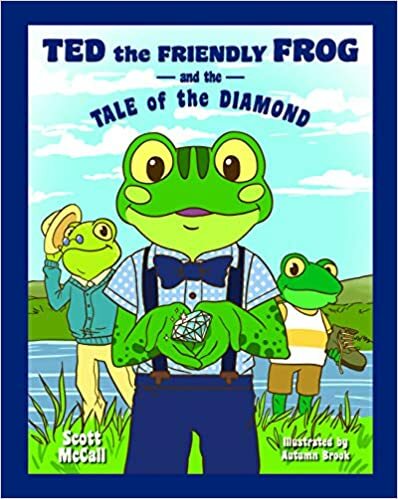 The book is going to teach friendship in the most adorable ways. Cassandra's Review- Based on your comfort level of allowing your younger kids to play with magnets, this can be a good set of blocks. They only magnify on the circle spaces and the hold is pretty good, if for some reason your kids play rougher they will come apart quicker. 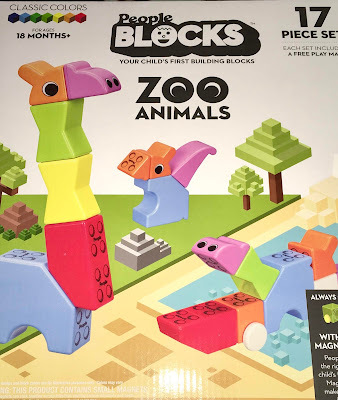 I found that there should be more blocks per set, but that is just preference and of course you could buy and combine as many sets as you need. 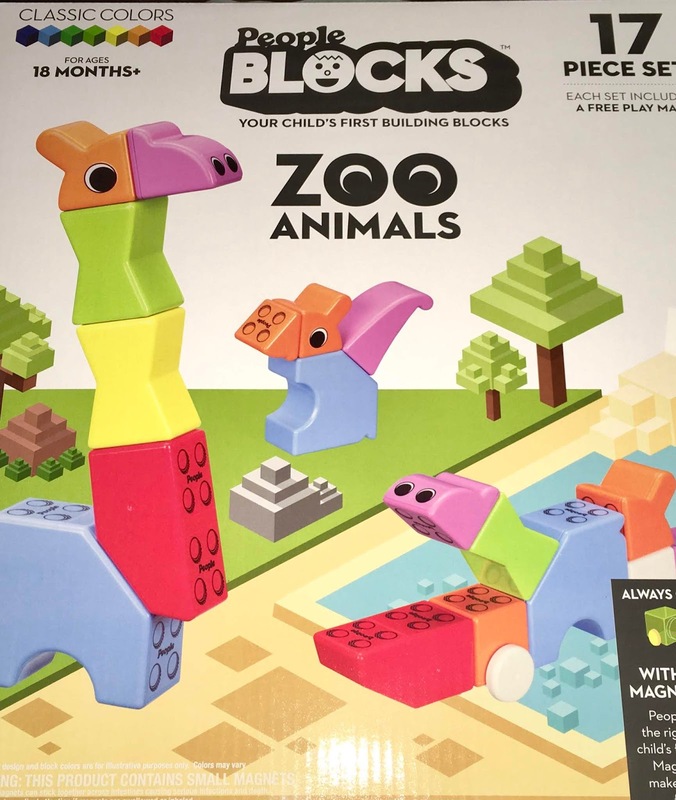 The shapes are kind of odd so if you have a child that likes plain shapes this might not be a good choice. There are not many colors but they do have nice brightness. 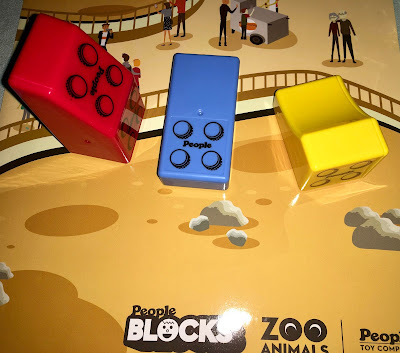 It was easy to clean up and I think they are a little on the pricey end for blocks with magnets inside. The play map is really small. Get ready for children who try to stick these to the fridge and anywhere a magnet can go. 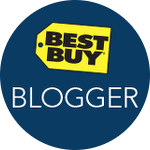 BLOGGER10 for 10% off storewide on products in stock. The code is used at checkout on Amazon. com. 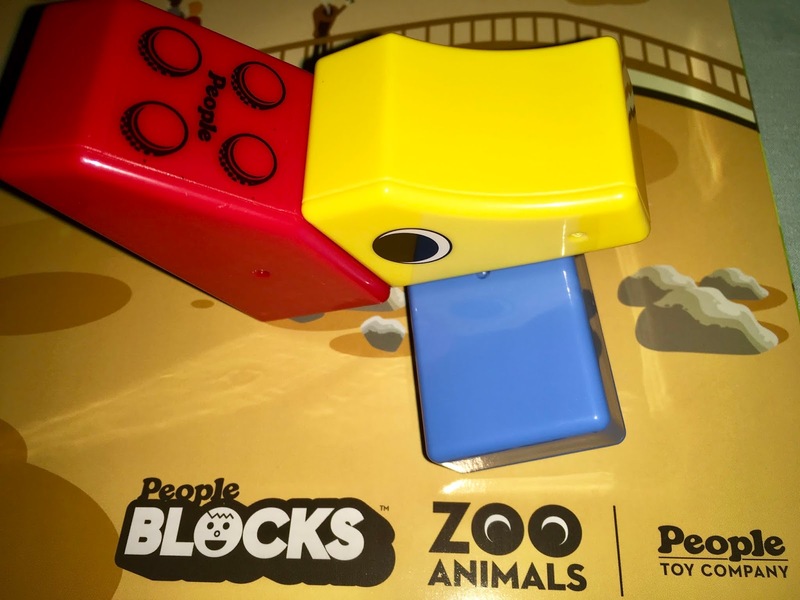 Like the magnetic building blocks for babies and toddlers -- Promotion only applies to products stocked and sold by People Toy Company, not other retailers. “Want to learn about your baby’s developmental milestones and which toys are a right match for their age? Green Coast Pet’s Full-Spectrum Hemp Chews for Dog & Cats a promote health and relaxation for your pet in a natural and tasty way. Specifically designed for cats, the whitefish flavored Full-Spectrum Hemp soft chews are packed with benefits for your cat. These chews are soft for easy chewing and cold-extruded meaning that the active ingredients are in their raw format and are not cooked and degraded by being subjected to heat. These also contain 100mg of our proprietary hemp blend including 1.5 mg of full-spectrum hemp extract per chew to ensure your cat can take advantage of the benefits of hemp. The Pawnut Butter is an all-natural peanut butter treat made specifically for dogs. With only 2 ingredients, you can be assured that your dog is able to enjoy clean healthy fun. 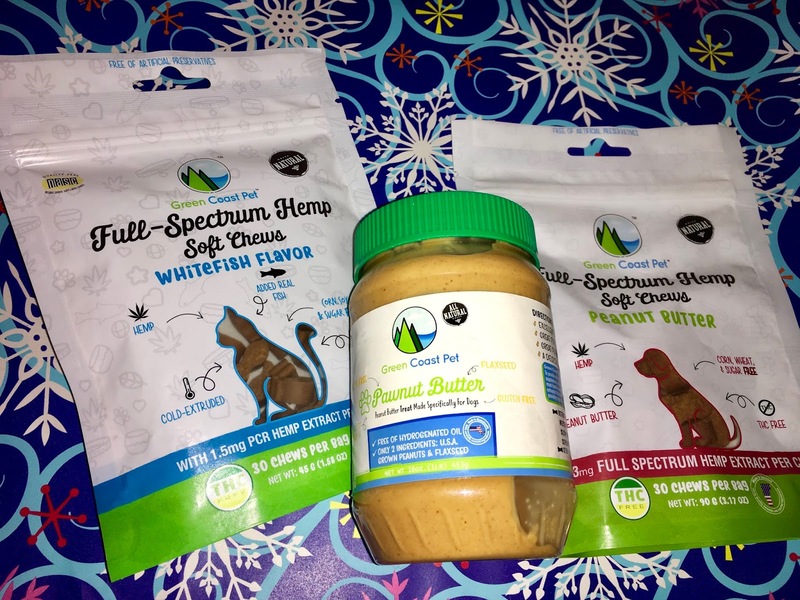 Pawnut Butter is perfect to disguise a pill in, fill up a refillable toy or an old marrow bone or just to give off of a spoon and watch your dog go wild! Pawnut Butter contains no salt, sugar, hydrogenated oils, or xylitol and only contains peanuts and flaxseed and is a great source for healthy omega-3 fatty acids. Cassandra's Review- I do not give my cats anything with certain ingredients like rosemary extract, guar gum or brewers yeast simply because they are not really healthy. However that is just a comfort thing for me based on research. Not all of the products are unhealthy in fact the peanut butter only contains that and flaxseed so a really nice treat for your dogs in moderation. I think it is great that this company offers a more natural choice for pets, also I noticed there is not a lot of soft chews per bag so if you so happen to want them for more than one cat, you may need to stock up. 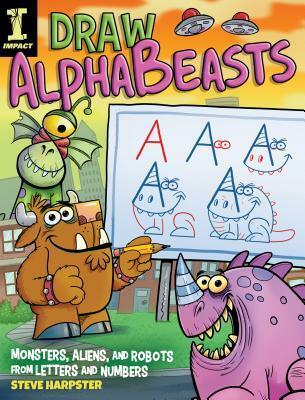 Learn to draw more 130 imaginary creatures using letters and numbers as the starting point! From kooky monsters to silly ghouls and goofy aliens, you can draw any kind of crazy creature in just a few simple steps. Practicing your letters and numbers is fun when you can turn them into characters from your imagination! 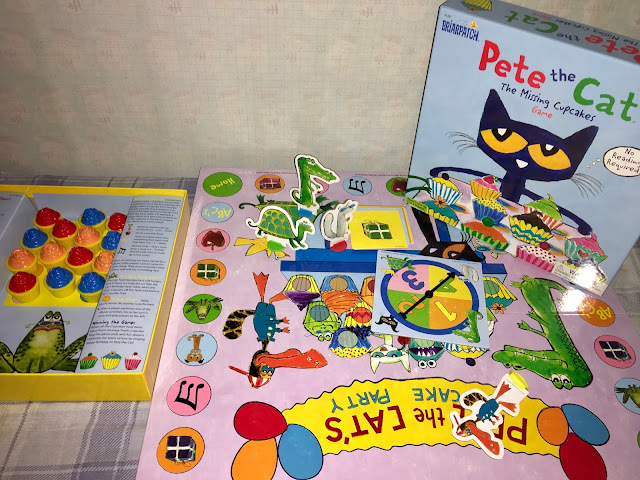 Cassandra's Review- Super cute illustrations that teach and entertain young minds. Every age can have a real blast and a not so scary time creating these super inventive beasts. Successful Silicon Valley real estate developer and wealth creator Roy Goble shares the surprising lessons he learned as a boy working in his family junkyard. 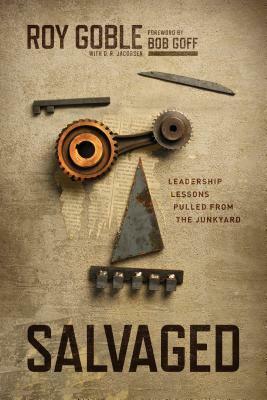 Skillfully uniting the teachings of Jesus with the sometimes messy realities of leading people and getting things done, Salvaged helps leaders at all levels discover powerful opportunities to follow Jesus in the real world--and in surprisingly simple ways. Working in his dad's junkyard as a kid, Roy had no idea what his future held: an incredibly successful career in commercial real estate, as well as founding and leading multiple ministries, churches, and nonprofits across the globe. So when Roy talks about what it means to follow Jesus daily as a leader, people pay attention. Entrepreneurs, pastors, and managers who learn to lead from Roy won't parrot his jargon or practice his "system"--these men and women will simply know how to lead better. After a no-nonsense and compelling introduction, Roy delivers 31 of his most surprising, memorable, and practical leadership lessons, many of which are culled from his junkyard days. Each focuses on a personal "junkyard" story, leadership lesson, and comparable Bible passage perfect for daily study. A growth and action section is included after each chapter that gets to the heart of the lesson through thought-provoking questions with action steps designed to be immediately put into practice. - What did you like about the book and why? The author is very straight forward with his thought and wide open in a way that is funny but serious when needed. - What did you not like about the book and why? It will not go over well with younger children who should not be able to get the more outright humor tones. I think that if you are sharing with younger readers, you should skin this first and read outloud to omit certain dialogue. - What did you learn? Open minds to the way of the biblical scriptures are always eye opening and easy to read, so learned that this author is super open and pulls not wool over the readers eyes in a way that make this book a really interesting read. - To whom would you recommend this book and why? Older aged people who can contain the more blunt language and authors wit. A collection of morning and evening prayers, a different one for every day and night of the year, drawn from the treasury of Christian prayer throughout the ages. A Morning and Evening Prayerbook provides a framework for prayerful devotions with two prayers for each day of the year. The morning prayers are ideal for encouraging your heart for the approaching day’s activities and challenges while the evening prayers will help you close each day with reverence, gratitude, and reflection. Selected to mirror the seasons and the liturgical calendar, the prayers are intended not to replace your personal, spontaneous prayers but to serve as a springboard for them. Editors Jeanie and David Gushee have collected inspiring contributions from Protestant, Catholic, and Eastern Orthodox sources; from all continents; from the Old Testament; and from each century of Christian history. 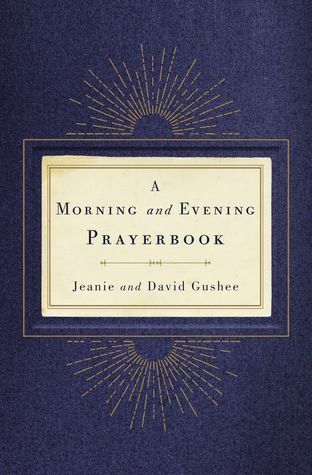 A Morning and Evening Prayerbook will enrich your commitment to God and personal connection to the Christian tradition and the entire church. Cassandra's Review- I love that you can open to a random page and immerse yourself in a shorter prayer, you control the amount of time spent with each piece and when you believe in the power of prayer, great things can happen for you in a positive way. I would recommend this to teens and older ages that need a bit of God in life. 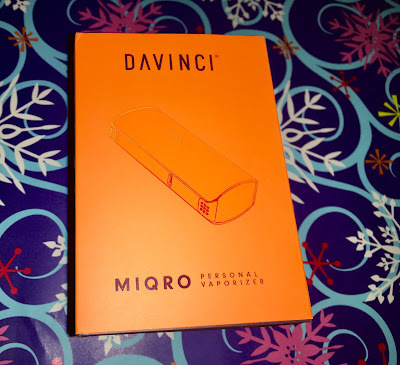 DaVinci is a popular dry herb vaporizer company with a strong line of products. DaVinci’s vaporizers are exactly what they are supposed to be – advanced, superior and portable. They are lightweight, compact and discreet for the vape connoisseurs who works on-the-go. Both the DaVinci IQ and Ascent have precision temperature controls, state of the art heating methods and increased battery life. Newest product is the MIQRO. Welcome to the DVDs For The Whole Family Giveaway! This giveaway is in no way endorsed, affiliated, or associated with Facebook, Twitter or any other Social Media Networking Site. You are not eligible if you have won a prize from this sponsor in the last 12 months. This Giveaway is valid in the United States Only and Entrants must be 18+ years of age to enter. This giveaway event will end at 11:59 PM (EST) 1/10/19. The winner will have 48 hours to email their information backor a new winner will be drawn, you may want to put this email address as safe as it could go to spam. The sponsors are each responsible for shipping of the above prizes. No blog associated with this contests are responsible for prize fulfillment. If you take an entry you must stay following for the entire contest or you will be disqualified. 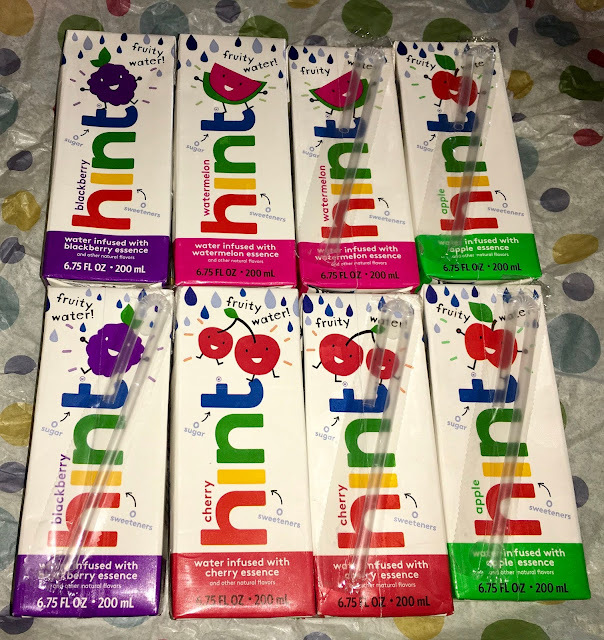 Hint, Inc., whose mantra is “drink water, not sugar®”, has introduced a new line of products that promises to end the Age of Sugar Water by allowing children everywhere to fall in love with water instead of sugary juice drinks. Having long decried the high sugar content of apple juice and other kids’ boxed drinks, hint is now using the same 200ml Tetra boxes to offer a delicious alternative with no sugar and no diet sweeteners. The four fruit flavors, Watermelon, Cherry, Blackberry and Apple, will make kids happy—and healthy too. hint® waters are NON-GMO certified and WHOLE30 approved. They are vegan, and contain no MSG, nuts, soy or gluten. Like all hint waters, the kids’ version delivers delicious refreshment with no juice, no sugar, no diet sweeteners, no colors, no calories and no preservatives. hint water for kids is available at drinkhint. com, and soon at Costco and grocery and specialty stores nationwide. Embrace the power of play with Goliath® this holiday season! While searching for the perfect gifts, don’t forget about stocking stuffers. 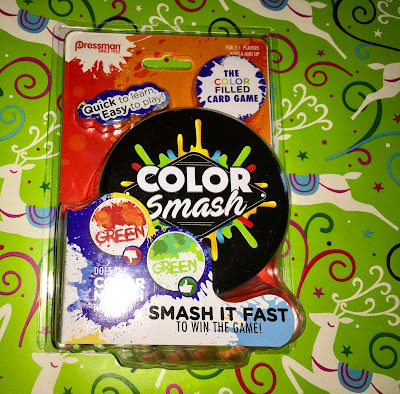 Goliath’s i-Top, Charades for Kids and Color Smash are tons of fun and are perfectly sized for stockings! Cassandra's Review - So if you do not already know, most of my children have special needs and while I think that any age and anyone can have a blast playing this, I would like to say that this was so super fun for my child with more severe autism. He was able to really play with the family and not feel rushed or having loud sounds around, was able to act out in way that suits him and still have a ton of fun. Of course all of my children had an easy time playing and it can easily take a few minutes or a few hours to finish. Check out the new generation of tops with i-Top! Using smart technology, this high-tech top keeps track of the number of spins while LEDs light up the display. Spin your way to the top score by competing in multiple challenges. Unlock hidden features by spinning the top an exact number of spins to show special animations, or challenge your friend to a high score. 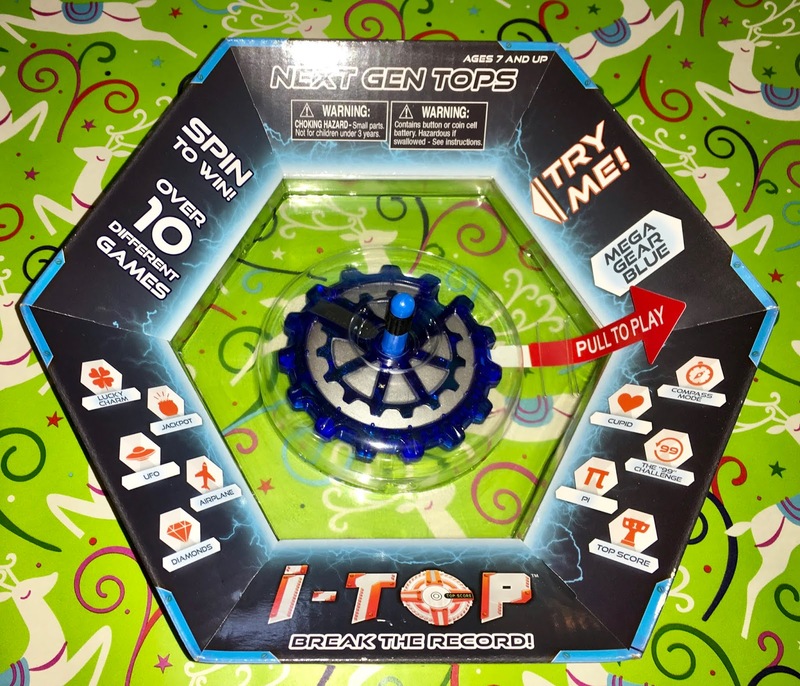 With over ten different ways to play and tons of animations, the fun with i-Top is non-stop! Approximately 3.25″ round. Available in Mega Gear Blue, Infinite Purple and Vortex Red. For ages 7 and up. Cassandra's Review- The concept and top itself is really cool, it spins longer than a regular top and the light ups keep the kids interested, though we never made it past 212, we will continue to try and it is really fun. 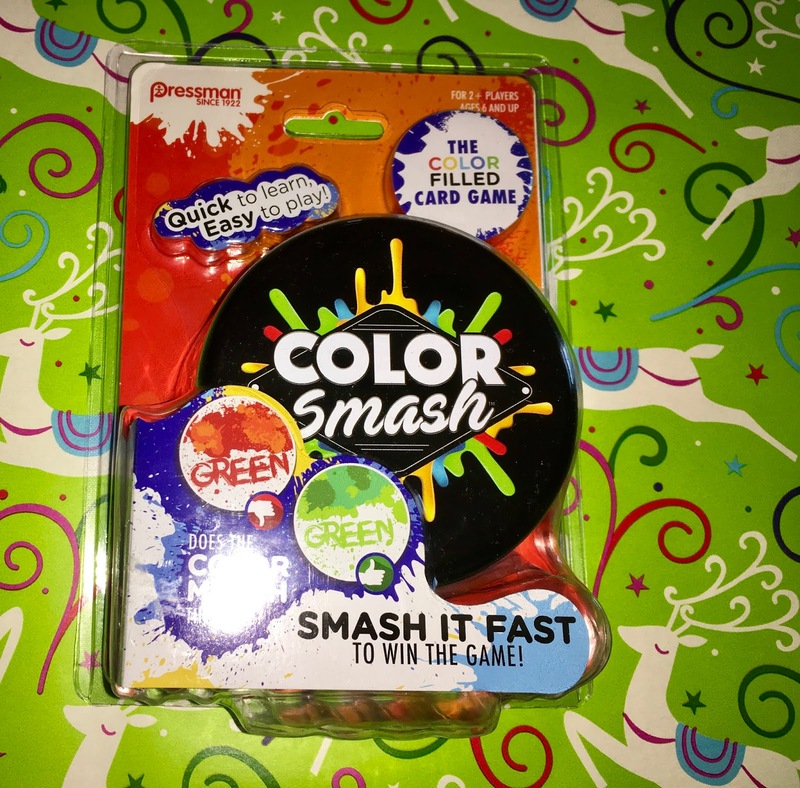 Slap your way to victory in this test of color coordination and smash the splat with the same color and name to win the deck! It’s quick to learn and easy to play! The unique, colorful storage “paint can” holds cards for future play. You’ve got to be smart and fast to win at Color Smash! The eye sees one thing while your brain perceives the other. Take turns laying your cards down on the table – remember to pay attention, or they may get stolen! 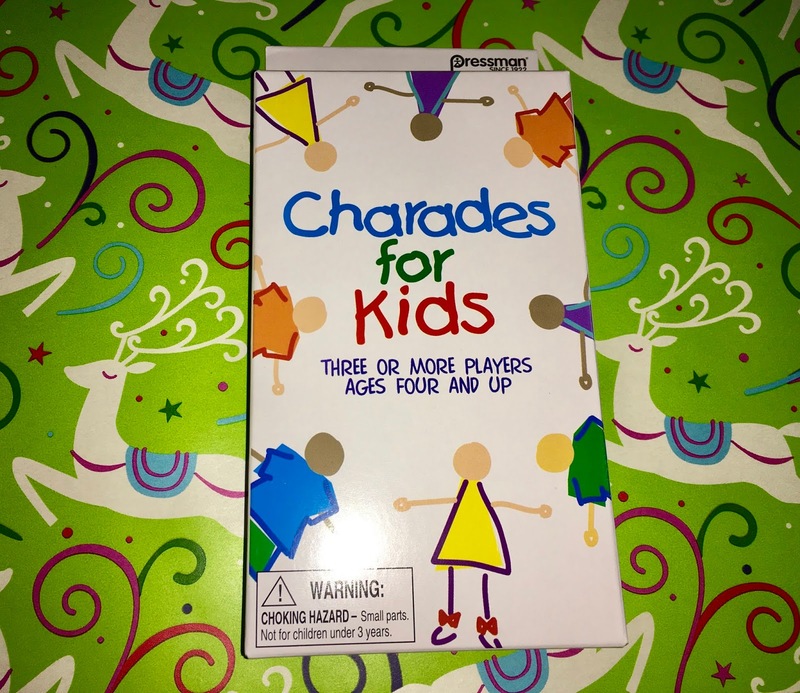 For 2 or more players, ages 6 and up. Cassandra's Review- Go at any pace you want and the slightly changed game of slap jack is a ton of fun. You can mark certain cards if you need to modify for any reason and still get the whole family involved. If for some reason your kids slap harder and you do not want your hands trampled, you can say a word out loud or have them tap the table next to the pile on either sides. This giveaway is in no way endorsed, affiliated, or associated with Facebook, Twitter or any other Social Media Networking Site. This Giveaway is valid in the continental United States Only and Entrants must be 18+ years of age to enter. This giveaway event will end at 11:59 PM (EST) 12/31/18. The winner will have 48 hours to email their information backor a new winner will be drawn, you may want to put this email address as safe as it could go to spam. If you take an entry you must stay following for the entire contest or you will be disqualified. Deliciously Savvy did not receive any form of compensation for this giveaway other than the product for review. Once winner is selected via the Giveaway Tools process, the product will be shipped. Winners have 48 hours to respond or another winner will be chosen. 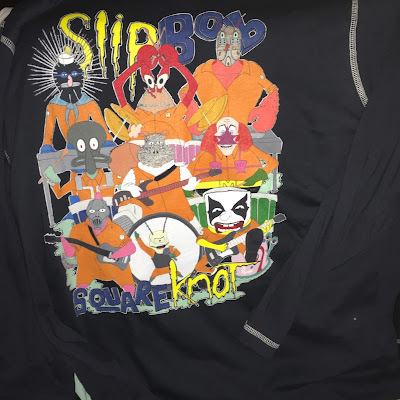 No other blog associated with this giveaway is responsible for the product shipment. My/Mo Mochi will be providing the prizes above to the winners. This post does contain affiliate links and I may make a small commission used to support this blog if the item is purchased via the links in this post. 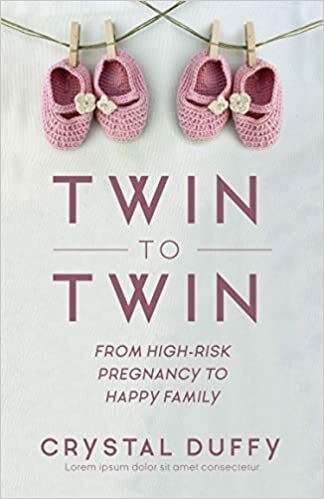 Inspiring parenting memoir: Twin-to-Twin is one twenty-nine-year-old mother’s harrowing and inspiring adventure through a high-risk twin pregnancy. But this isn’t only a book about pregnancy. It’s also an inspirational story to which all women can relate, especially when confronting any type of adversity. A crisis when expecting: One minute Crystal was sitting at a candlelight dinner in Paris with her husband. The next she was back home in Houston, sitting in her Ob-Gyn’s office concerned that she was having a second miscarriage. That wasn’t the news he delivered. Instead, she found out she was pregnant with twins! Since Crystal and her husband Ed already had a two-year-old daughter, Abigail, she couldn’t imagine why mothering twins would be all that different. But, after a family vacation at the beach, she finds out that her twins have a life threatening condition called Twin-to-Twin Transfusion Syndrome. That means that Baby B is transfusing blood (disproportionately) to Baby A. A pregnancy book about facing adversity: Her OB says that Crystal is too high risk to let out of his sight, so he sends her to the 5th floor of the Houston Medical Center for the duration of her pregnancy. Sitting alone in her hospital bed, Crystal wonders how she is going to pass the next few weeks, away from her husband and precious daughter. She soon finds out as she embarks on an emotional rollercoaster―from late night emergency ultrasounds to hospital baby blessings, sprinkled with comic relief from nurses and hospital staff. A riveting true story: Twin-to-Twin is a raw and inspirational story filled with tenderness, vulnerability and humor. It chronicles the wildest, most terrifying and challenging year of Crystal’s life, which is also the most beautiful and eye-opening. Her hope is that it will bring strength to other women dealing with their own personal trials and tragedies, so they can also triumph. Cassandra's Review- The book is a sharing of true emotion and a real story to inform as well as connect any reader who may also have been connected in some way to the topic. What is God saying to you in your dreams? 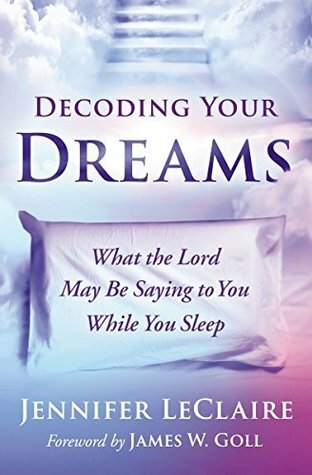 Decoding Your Dreams provides an in-depth explanation of the true source of our dreams, dream classifications, and even dream symbols. There are dozens of mentions of dreams in the Bible. From Abraham to Joseph, from Daniel all the way to Pontius Pilot’s wife, God has communicated with His people through dreams throughout recorded history. Why would God choose to speak to us while we sleep? Perhaps it’s because we are too distracted during the day to sit still long enough for Him to share the deep secrets of His heart. Jennifer LeClaire is convinced God speaks to us in ways that are very personal. At times he may use pictures, memories, impressions, or even a still small voice. Let Decoding Your Dreams help you embrace your Spirit-inspired dreams! Cassandra's Review- If you believe in the faith based teachings in this book and also remember your dreams, this can be a really neat read. While some may think it implements thought about what to dream or may cause the kinds of dreams after you read about them. It is a huge discussion in the world and I think that if you love the meanings and find yourself interested in wanting to choose to use the interpretations, that is wonderful. The book is not a dream dictionary and covers a wider spectrum in each section. Everyone knows someone who would like to write a book someday. Some people may want to write a novel, while entrepreneurs may want to write a book on their area of expertise, still others may be ready to take their writing career to the next level. Many people have one or more ideas floating around in their head and dream of getting them down on paper and into print, yet they may not know the first thing about where to start or how to make it happen. Those looking for the ultimate gift for the writer in their life should consider the gift of taking their book idea to the next level. They can do just that by giving them the gift of working with a writing coach who can help advance their career. ● How to take an idea and turn it into a book. Many people have a great idea for a book, but they have no clue where to start and how to get the ideas onto paper. Parent works with writers to flesh out the idea and turn the entire idea into manageable parts that they can chip away at. Whether they want to write a novel or they want to write a book on something they can teach the world, they can make it happen. ● How to revise a draft to publishable. Most people who do sit down and take the time to write a novel will not realize that when they reach the end, it is still not ready to be published. There’s often a lot of editing, revising, and rewriting that needs to take place. Only once those areas are identified and reworked will the book be ready to be published. ● How to optimize the author’s platform so that they can reach more readers and sell more books. Writing the book is half the battle, but after that the writer needs to know how to get the book into print and how to get it into the hands of people who will want to buy it and read it. ● Helping writers to achieve the dream they have of being a published author. Rather than the book they want to write sitting on their bucket list, a writing coach can help writers get to the point where their finished novel is sitting on their bookshelf. ● The inspiration and confidence that people need in order to turn their idea into a reality and put themselves out there. Oftentimes confidence is what people are lacking and when they get that boost--based on their actual skills and abilities, they tend to make the book a reality. Parent has coached hundreds of writers and has taught over 100 writing courses around the world. She works exclusively with fiction writers looking to publish traditionally and entrepreneurs looking to highlight their expertise and sell books well.. 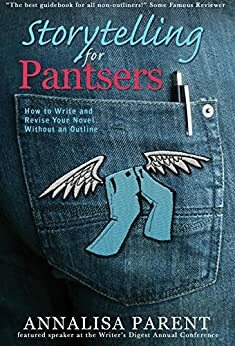 Her book Storytelling for Pantsers: How to Write and Revise Your Novel without an Outline won the CIPA EVVY Silver Award in Best Business Books, and earned a merit award in the Humor category. She has been a worldwide speaker on writing-related topics, and she has been a guest on a variety of television, radio, and podcast shows, sharing her secrets for how to write, publish, and sell your book. 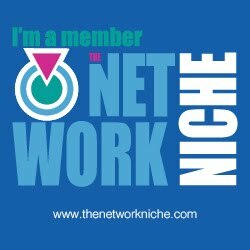 For more information about Annalisa Parent, her book, and her coaching services, visit her site at: http://datewiththemuse.com and http://www.laurelelite.com. For more information on how to become a published author, download her free ebook The Six Secrets to go from Struggling writer to Published Author here: www.datewiththemuse.com/6secrets. Having taught over 100 writing courses, Annalisa Parent has reached countless writers around the world. She offers coaching writing services that have been instrumental in helping writers to go from idea to publishable piece and have the confidence to take their work to the market. She is also the chief executive officer of Laurel Elite Books. 'Tis the season of last-minute shopping. GourmetGiftBaskets.com , a top online gifting company, is gearing up for thousands of last-minute shoppers from now through next Saturday, and they've been known to do just about anything to get those gifts to recipients before Christmas. Today marks the beginning of the 6th day countdown to the last day to ship items, ensuring that they’ll arrive before Christmas. GourmetGiftBaskets. com, a top national online gifting company, will send gifts up until 4:30 p.m. on Saturday, December 22 and maybe even later if the carriers will allow. In years past, diligent members of the GourmetGiftBaskets.com team have been known to chase after UPS & FedEx trucks or even drive up to their terminals, packages in hand, to deliver as many last-minute gifts as possible to destinations countrywide -- just in the nick of time. In all likelihood, this year will have its own set of legendary stories as final gifts are packed and shipped. Because the big holiday is on a Tuesday this year, procrastinators think they have another weekend to dilly-dally. That leads to even more procrastination than usual among shoppers, which was anticipated at GourmetGiftBaskets. com. The online gifting giant has seen more later-than-usual purchases this year than ever and they’re expecting a tidal wave of truly last-minute online shoppers next week. The last time Christmas was on a Tuesday, in 2012, the company experienced the same rush of procrastinators logging in, trying to find items that were not already sold out! Knowing the trends as well as they do, GourmetGiftBaskets .com’s gifting experts made sure to introduce 100 new items this year to their vast selection of everything from gourmet food baskets, towers, and suitcases to crates, cheesecakes, and mouth-watering popcorn combinations. And while they are well-stocked and ready for this year’s final holiday push, they have already sold out of 15 items and many other offerings are flying off the shelves. So, procrastinators, the sooner you can get on over to GourmetGiftBaskets.com and place your order, the better! In fact, the top-selling gifts this year would be quick and easy selections for many people. They include the gorgeous Christmas Classic Gift Basket, a top seller for several years, the Happy Holidays Snack Gift Box, and the fun and festive Gourmet Holiday Sleigh Christmas Gift Basket. Many people just love the adorable sleigh in this gift, which has become a wonderful keepsake item. I will receive complimentary product. This giveaway is in no way endorsed, affiliated, or associated with Facebook, Twitter or any other Social Media Networking Site. You are not eligible if you have won a prize from this sponsor in the last 12 months. This Giveaway is valid in the United States Only and Entrants must be 18+ years of age to enter. This giveaway event will end at 11:59 PM (EST) 1/7/19. The winner will have 48 hours to email their information back or a new winner will be drawn, you may want to put this email address as safe as it could go to spam. The sponsors are each responsible for shipping of the above prizes. No blog associated with this contests are responsible for prize fulfillment. If you take an entry you must stay following for the entire contest or you will be disqualified. Welcome to the SGT. STUBBY AN AMERICAN HERO DVD Giveaway! This giveaway is in no way endorsed, affiliated, or associated with Facebook, Twitter or any other Social Media Networking Site. You are not eligible if you have won a prize from this sponsor in the last 12 months. This Giveaway is valid in the United States Only and Entrants must be 18+ years of age to enter. This giveaway event will end at 11:59 PM (EST) 1/8/19. The winner will have 48 hours to email their information backor a new winner will be drawn, you may want to put this email address as safe as it could go to spam. The sponsors are each responsible for shipping of the above prizes. No blog associated with this contests are responsible for prize fulfillment. If you take an entry you must stay following for the entire contest or you will be disqualified. 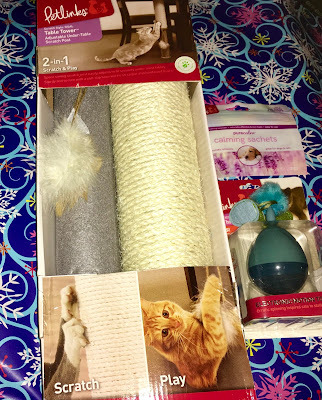 Welcome to the No More Furry Clothes With FurZapper Giveaway! This giveaway is in no way endorsed, affiliated, or associated with Facebook, Twitter or any other Social Media Networking Site. You are not eligible if you have won a prize from this sponsor in the last 12 months. This Giveaway is valid in the United States Only and Entrants must be 18+ years of age to enter. This giveaway event will end at 11:59 PM (EST) 1/09/19. The winner will have 48 hours to email their information backor a new winner will be drawn, you may want to put this email address as safe as it could go to spam. The sponsors are each responsible for shipping of the above prizes. No blog associated with this contests are responsible for prize fulfillment. If you take an entry you must stay following for the entire contest or you will be disqualified. Dizzy Thing from Petlinks is purrfect for all the cats and cat lovers on your list on your shopping list. This electric motion toy's spinning tuft whirling leaves entertains cats with a push of a button. Petlinks® Pure Calm™ Sachets (Bed Insert Packs) are a NEW, natural and easy way to provide calming benefits to your pet. The patent pending process infuses mineral beads with chemical-free aromatics. Just toss a sachet or two inside the cover of your pet's bed to create a naturally calming environment for anxious pets. Petlinks® Table Tower™ is a NEW space-saving scratcher, which easily adjusts to securely fit under almost any table. 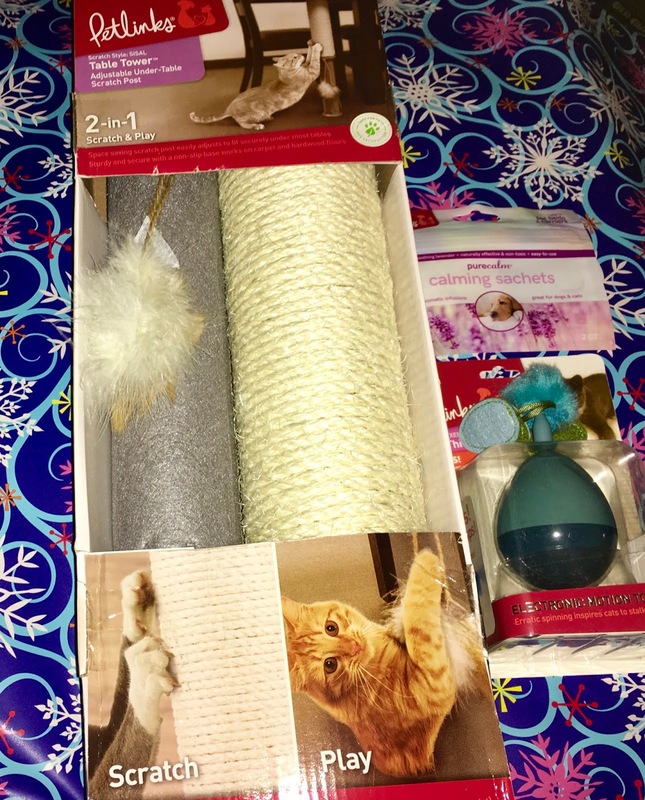 Non-slip base makes it sturdy and the feather toy makes it FUN! SmartyKat® Fringe Frenzy™ is a rustling tunnel toy taken to a whole new level. One end boasts tassel fringe and the other a dangling ribbon toy to tempt cats with irresistible springy action. 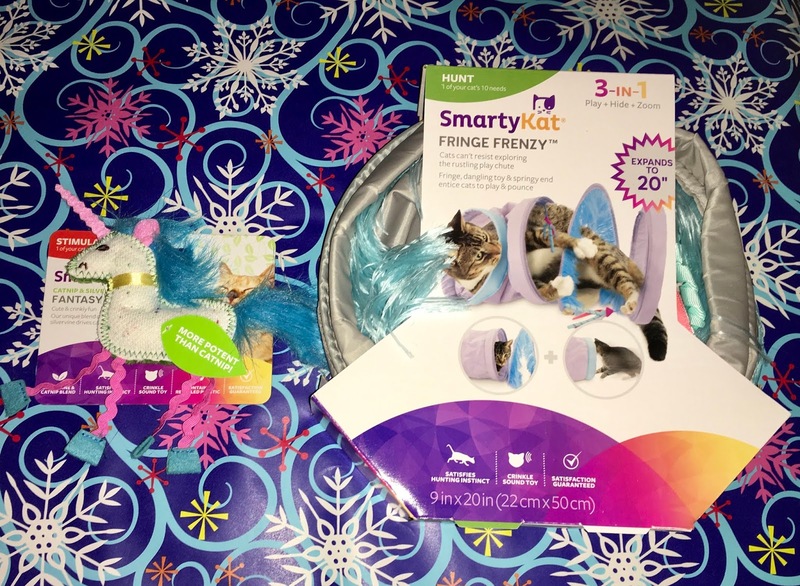 SmartyKat® Fantasy Frenzy™ is a delightful new unicorn toy, which has crinkle sounds and a stash of our potent catnip + silvervine blend to drive cats WILD! 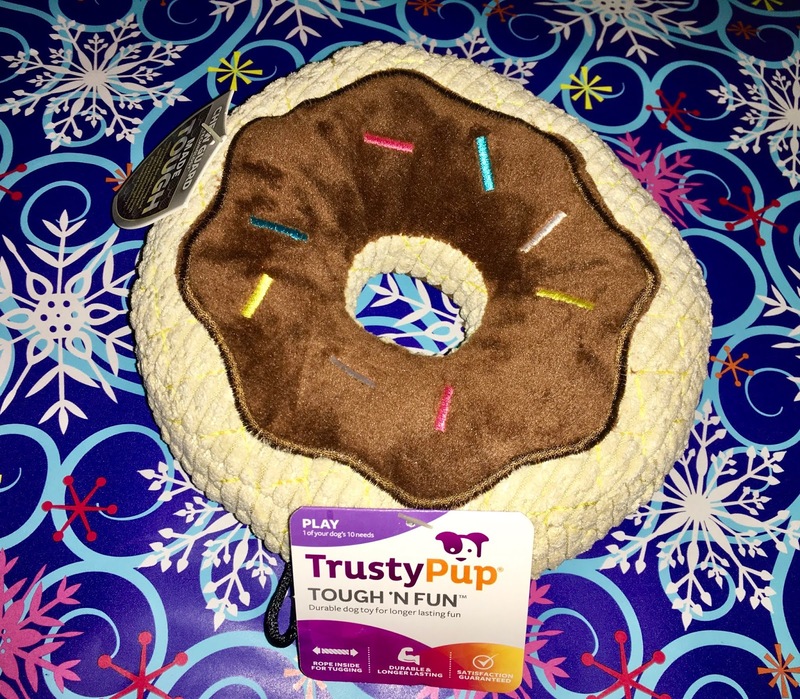 TrustyPup's Tough 'n Fun™ Donut is rolly, hole-y fun with Chew Guard Technology™ to help stand up to tough play. Say Yes to "Silent" Nights. 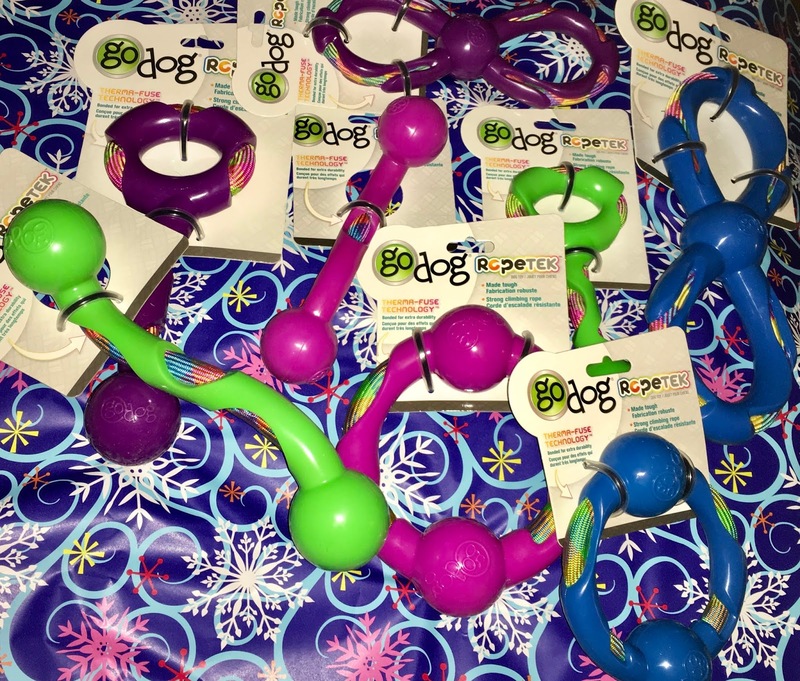 With a squeak they ONLY the dog can hear and you cannot - Hear Doggy!™ Ultrasonic Dog Toys provide hours of squeaky toy entertainment without the headache to pet parents. 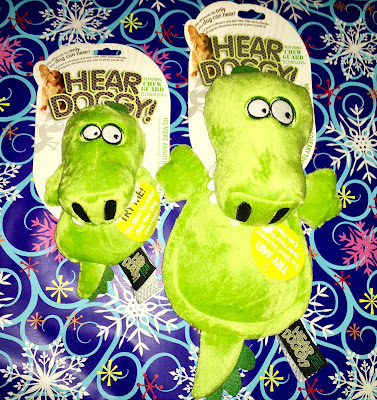 Using innovative squeaker technology, Hear Doggy!™ squeakers are tuned to a pitch outside the human hearing range leaving all the noisy fun to your furry companions. 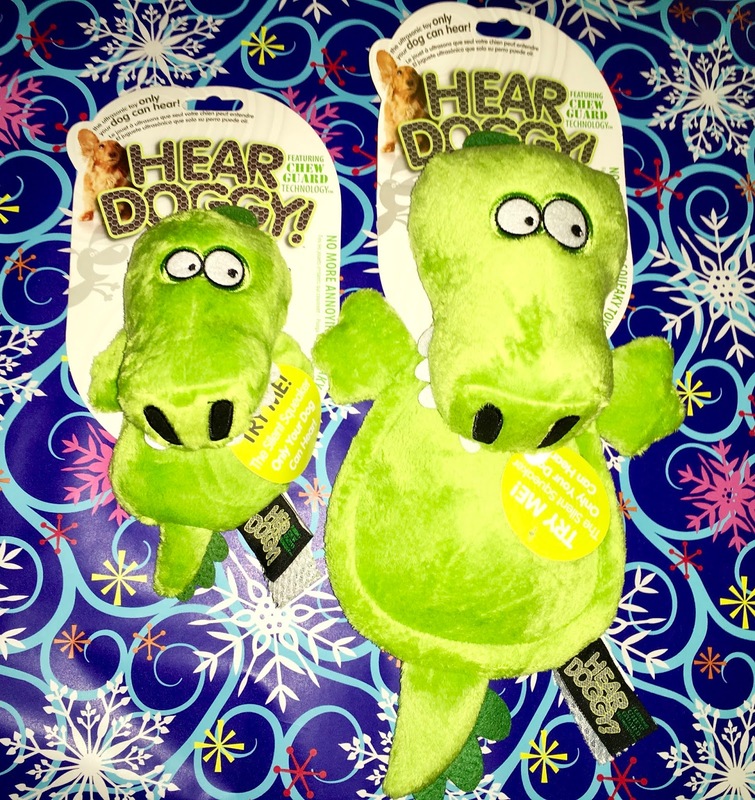 Hear Doggy!™ is now available in MINI Flatties for tiny chewers and tiny breeds. Cassandra's Review- With this wonderful selection of products your pets can be safe and happy. 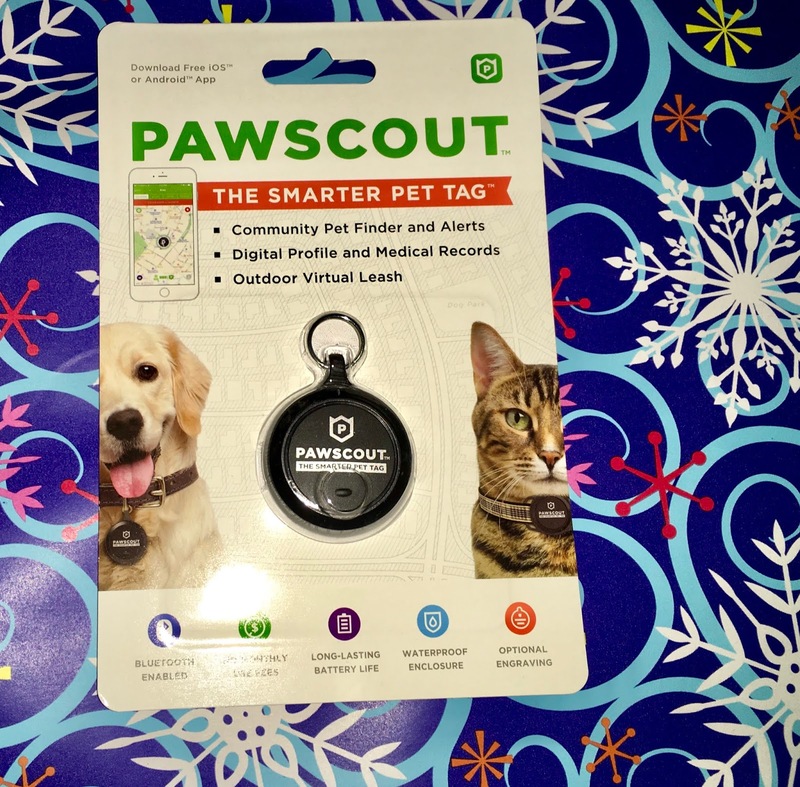 I know that all of my furbabies love to use them. 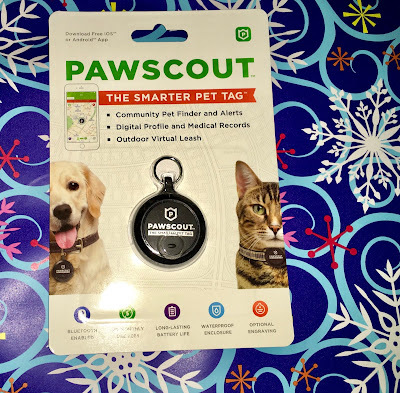 As I took on fostering pets as well as providing forever homes when I can, it is great to find products that they can keep with them wherever the journey ends up. I am extremely grateful to the sponsors for allowing me to review and thank them so much! T Shirts by Rymes is an online original design shirt shop, with our headquarters in the small town of Cranbrook British Columbia, Canada. The founder, Dale Reimer (Rymes), has been an artist ever since his mom (Mildred) bought him his first comic book, and his uncle (Ken) sparked an interest in drawing the characters. His only formal training in art was in high school, but most of his training was from a book by John Buscema and Stan Lee called “How to Draw Comics the Marvel Way”. After that is was practice, practice, practice, and the results are in front of you. 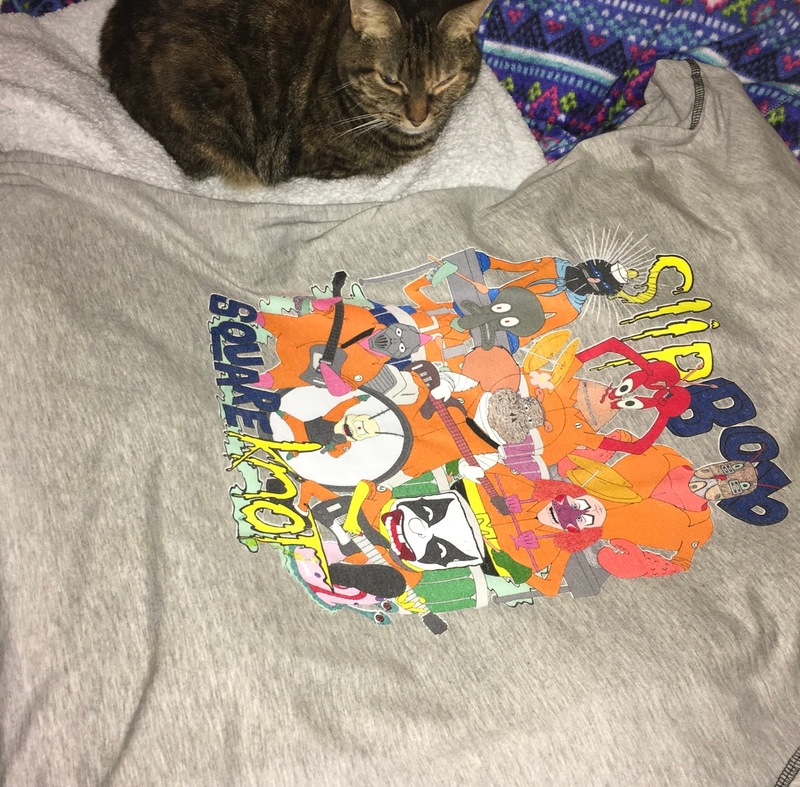 Cassandra's Review- I think the original artwork is fantastic and really think that the unique design is one of a kind. I was not sure if it was a real band but the parody is just charming. There are more shirts to discover and I was so happy that a protion of the proceeds go to different charities, this would make a great gift. The shirt material is soft and fit cozy, the colors are bright and the art is beautiful. Limited Time Offer This Feature shirt offer will close on Feb. 18, 2019 and the shirt will not be printed again, so get it before you miss out forever. 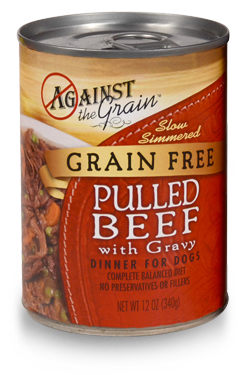 Against the Grain Pet Food are revolutionaries of pet food industry and have uniquely created products are that are grain-free, gluten-free and meat-dominant using at least 85% real meat in each can. ATG has carefully selected the pinnacle of fresh and sustainable ingredients, and use unique processing methods to carefully serve your pet the smartest food available.